A Celebration of life service will be held Saturday, May 18, at 2 p.m., in Upper Stewiacke United Church with Rev. Alice Rutherford officiating. A family committal service will be held in Riverside Cemetery followed by a reception in Upper Stewiacke Fire Hall. 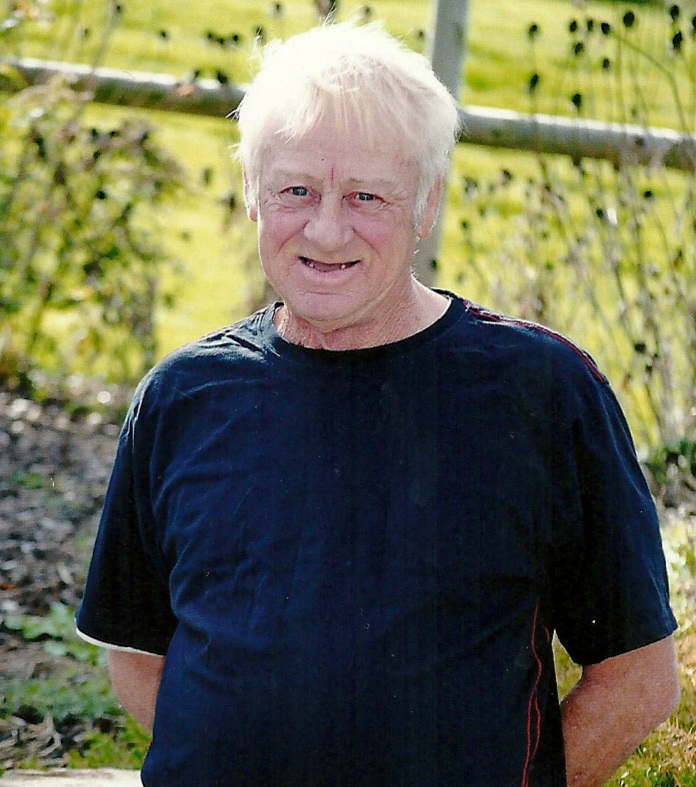 Stewart, Arnold H. – The passing of Arnold H. Stewart, age 79, of Hilden and formerly of North River, occurred April 12, 2019, in Colchester East Hants Health Centre, Truro. Arnold was very proud of his grandchildren and marveled at their university achievements and ability with computers. Arnold had retired from the trucking industry with some of his last work being on the construction of the Cobequid Pass. Arnold always enjoyed driving and even into his late 70s, he could drive solo to Cape Breton to visit friends. During their retirement, he and Donna journeyed several times to the sunny beaches of Cuba where they enjoyed the local people and a break from the snow. Arnold is remembered by his wife, Donna; daughter, Kimberly (husband Chris Franklin), North River; sons, Allan (wife Wendy), Brookvale, N.B. ; and Andrew, Bible Hill; as well as his grandchildren, Emily and Brandon Franklin, both of Fredericton; sisters-in-law, Margaret Martin, Bible Hill; Alice (Frank) Adamson, Patsy (Winston) Stockley; brother-in-law, Allan (Jackie) Adamson, all of Ontario. He was predeceased by his parents, Angus and Sadie Stewart (of Skye Glen); brother, Peter; sister, Annie; brother-in-law, Frank Adamson. Cremation has taken place under the direction of Arimathea Funeral Cooperative, Upper Musquodoboit. A private graveside service will be held at a later date. Memorial donations may be made to Diabetes Canada. Gammell, Gordon Douglas – Age 60 of Dean, passed away unexpectedly in Colchester East Hants Health Centre, Truro, on April 12, 2019. Born in Middle Musquodoboit, he was a son of the late Cecil and Mona (Kindervater) Gammell. Gordon valued the training he received and was an active, dedicated member of the Upper Musquodoboit Volunteer Fire Department for many years. He loved to tinker around machinery and enjoyed his work with Grandview Farms. Surviving are his partner, Jane; daughters, Tanya, Elaina (Frank), Shannon (Brian), Michelle (Chris), Nicole, Jessica, Alicia (Anthony), Jocelyn, April, Virginia (Korey); 18 grandchildren; brother, Wayne (Glenda); sisters, Shirley (Bill) Barker, Frances Perrin, Elizabeth (Alvin) Lemmon, Martha Gammell, Wanda Smith; brother-in-law, Victor MacKinnon; sister-in-law, Nancy Gammell; mother-in-law, Betty Fisher. He was predeceased by brothers, Calvin, Terrence; sisters, Beverly and Dorothy; brothers-in-law, David Perrin and Kennard Smith. Cremation has taken place. Funeral service will be held Tuesday at 2 p.m. in Sharon Presbyterian Church, Dean, Calvin Burt student minister officiating. Burial will be in Riverside Cemetery, Upper Stewiacke. Family flowers only. Memorial donations may be made to Lung Association of Nova Scotia. Special thanks to Dr. Barry Giffin and HRFE. He was loved by many, but most of all by his daughters, Denise (Paul King), Carrie; step-children, Becky (Mike McCabe), Wayne Dorey; and especially the love of his life, Patricia Dorey. He was also cherished by grandchildren, Haley, Austin, Lily, Sophie; step-grandchildren, Meredith, Austin; two brothers; six sisters; nieces and nephews. Besides his parents, he was predeceased by two brothers. Bob drove a truck for a number of years for Thompson and King’s Trucking and before that was a mechanic for several years. He enjoyed four-wheeling and being in the woods. He loved to tinker in the garage and was always there to help anyone whenever he could. A celebration of Bob’s life will be held Saturday, April 20, from 2–5 p.m., in Riverline Community Centre, Grono Road, Dutch Settlement. In lieu of flowers, memorial donations may be made to Heart and Stroke Foundation of Nova Scotia. 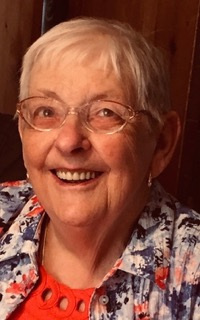 Gaudet, Marie Yvonne – Age 81 of Saltsprings and formerly of Truro, passed away March 30, 2019 in Aberdeen Hospital, New Glasgow. Born in Gore, she was a daughter of the late Dale and Manola (Starratt) Sim. Surviving are her partner, Robert “Bob” Probert; son, Dana (Lois), Stewiacke; daughter, Rena (Ted), Brantford, Ont. ; two granddaughters; one grandson; sisters, Gwen, Alta, Joanne (Arnold), Debbie, Sandra (Epke). She was predeceased by sister, Lorna. She was predeceased by sister, Lorna. Cremation has taken place. A Celebration of Life will be held Friday, April 5 at 1 p.m. in Elmsdale Baptist Church, 510 Highway 2, Enfield, with Rev. Annie De Lamirande officiating. Memorial donations may be made to a charity of choice. Arrangements are under the direction of Arimathea Funeral Cooperative, Upper Musquodoboit. Memorial donations may be made to a charity of choice. Deyarmond, Irene Clara – Age 83, of Upper Stewiacke, passed away peacefully April 3, 2019, in Enfield, surrounded by her loving family. Born in Eastville, she was a daughter of the late Alvin and Lyle (McCoul) Ellis. She was a very loving mom, nana, great-nan, aunt, sister and sister-in-law. Mom was a faithful member of the Upper Stewiacke Fire Department Ladies Auxiliary for many years. She was a beautiful knitter and passed her talents on to her granddaughters. We have all benefited and will treasure her wonderful creations. Mom loved the game of Yahtzee and played weekly with her best friend, Beverley. She loved country music, especially her favourite singer, Merle Haggard. Mom loved bluegrass and followed the bluegrass circuit for over 35 years, travelling and camping with her bluegrass friends throughout N.S., N.B., and P.E.I. Mom is survived by her loving daughters, Wenda Cook (Ed), Enfield; Kathy Barter (Irven), Calgary; Arlene Rutherford (Layton), Upper Stewiacke; Shirley Lynn Potts (Craig), Calgary; Mary Cox, Brookfield; Tammy Kent (Andrew), South Branch; Susan Deyarmond (Ray Farnham), Calgary; her grandchildren and great grandchildren whom she cherished, Jill Turner (Mark), Cameron and Rylan, Brad Cook (Denise), Mason, Tanner and Ashton, Jenna Barter (Mike), Ned Barter, Courtney Hanham (Steve), Calley, James Rutherford (Erin), Addison, Alexandria and Joel Potts, Natalie Petley (Stephan), Levi and Casey, Shanda Glinz (Scott), Samuel, Katelyn David (Brendon), Emmett, Jason Kent (Nicole), Dawson, Alana Kitson (Billy), Brooke Irene, Cody and Brody Farnham. She is also survived by her sisters, Marion Cox, Stewiacke; Shirley Fleming (Bruce), Brookfield; sisters-in-law, Noreen Ellis, Frances Ellis (Garnet), Velma Fisher; brother-in-law, Benny Ouellette; and many nieces, nephews, and cousins. Mom was predeceased by her husband, Eldridge (1976); her brothers, Ron and Alex; sisters, Eva and Anna; brothers-in-law, Curtis Fisher and Wayne Deyarmond. Our family would like to thank Dr. Lori Wood and nurse Donna, Dr.Singh, Dr. Cortney Smith, Dawn Ross, and the many VON nurses who took such wonderful care of Mom. Special thanks to Jill Turner who took special care of her Nan and our Mom. We would also like to make special mention of Mom’s friends , Shirley and Dave Olgivie and Geraldine Dunlap for making sure that Mom was taken care of and getting her to the bluegrass festivals when she became ill. Donations in Mom’s memory may be made to Upper Stewiacke Fire Department or Canadian Cancer Society. Funeral arrangements are incomplete at this time please follow our website for further updates. Gilbert, John Cameron “Johnny” – It is with great sadness that the family of Johnny Gilbert, age 72, announces his passing on April 1, 2019. He is survived by his mother, Lillian; daughter, Patricia; son, Jason; grandson, Steven; granddaughters, Candace and Courtney; great-grandchildren, Avery, Lucas, and Ellie Ray; sisters, Carol (Al) and Paulette (Bruce); brothers, Allan (Jennifer) and Lorne (Dorothy); as well as nephews, David, Tommy, Brian, Ryan, Robert, Matthew; and niece, Elaine. Johnny was a drywall taper for the last 50 years, one of the best in the business. He loved attending family gatherings where he was often the brunt of a joke which he truly enjoyed. He loved his cars and attending car shows and was known to have a heavy foot. Johnny was the one we all knew we could count on to be there in any time of need. We all love and will miss him greatly. He was predeceased by his father, Lorne; wife, Leona; brother, Clinton. Cremation has taken place and graveside service will be held Monday, April 8th at 1 p.m. in Dartmouth Memorial Gardens, Main Street, Dartmouth. Dean, Ethel Irving – Age 99 of Greenwood, Halifax Co., passed away at the break of day on March 31, 2019 in Musquodoboit Valley Memorial Hospital, Middle Musquodoboit. Born in Dean, she was a daughter of the late Keith and Anna (Irving) Ross. Ethel was a life member of the session and UCW of St. James United Church. She was a meticulous homemaker, enjoyed being a farmer’s wife, and loved to go dancing. Her infectious wit and humour were a big part of her life. Surviving are her sons, Gardner (Glenda), Rod (Pam), Dalton (Dorothy); daughter, Martha (Glenn) Barnes; son-in-law, Garnet Higgins; 12 grandchildren; 19 great-grandchildren; nephews, Keith Blaikie, Garnet Dickie (Frances); niece, Karen (Greg) Farnell. She was predeceased by her husband, Bill; daughters, Freda, Barbara in infancy; brothers, Robert, Lloyd; sisters, Olive Blaikie, Greta Dickie. Cremation has taken place. Visitation will be Wednesday, 7-9 p.m., and funeral service Thursday at 2 p.m., both in St. James United Church, Upper Musquodoboit, with student minister Calvin Burt officiating. Burial will follow in Dean Cemetery. Family flowers only. Memorial donations may be made to St. James United Church general fund. Special thanks to Jean Erskine, Phyllis Newhook, Kim Pratt, Frances Ellis; Dr. Karen Fewer and staff of MVMH. 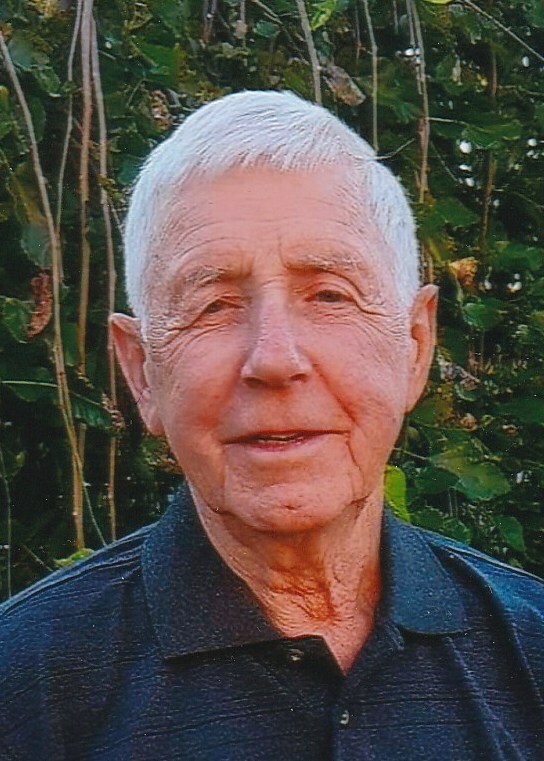 Moore, George Hamilton – Age 78, of Antrim, passed away March 29, 2019 in Gables Lodge, Amherst. Born in Antrim, he was a son of the late Henry and Mary (Dillman) Moore. Surviving are his wife, the former Dora St. Peter; sons, Kevin (Angela), Robert (Samantha); stepson, William Benere; stepson-in-law, Timothy Geldart; eight grandchildren; six great-grandchildren; brothers, Robert, Henry, Richard, Edgar; sisters, Margaret, Reta, Nina and Clara. He was predeceased by sister, Freda; brother, Ronald; stepbrother, Anthony Dillman; stepdaughter, Sheila Geldart. Cremation has taken place. Funeral service will be held on Friday at 11 a.m. in St. Bernard’s Catholic Church, Enfield, with Father Michael Walsh officiating. Memorial donations may be made to Heart and Stroke Foundation of Nova Scotia. Special thanks to the staff of Gables Lodge for the wonderful care George received while he was there. Hinton, Jack Ernest – Age 75 of Brookfield, passed away March 28, 2019 in Elk Court, Brookfield. Cremation has taken place under the direction of Arimathea Funeral Cooperative, Upper Musquodoboit. In keeping with his request, there will be no funeral service. Private family burial will be held at a later date in Crossroads Cemetery, Valley. Bagnell (Coates), Lois Annette – September 26, 1937-March 28, 2019. Mom was born in Sydney, attending Sydney Academy and was an avid artist through quilting, painting, sewing and cooking. In 1958, she met and married the love of her life, Grant Crawford Bagnell, who left us too early. They created a loving family (Sheri, Grant, Julie, Pat, Karen) who themselves created grand and great-grandchildren who miss them both very much. We thank all the staff of The Birches, especially Dr. Laurie Mallery and the PATH Clinic. We are holding Mom’s last goodbye on Thursday, April 4th at 2 p.m. in First United Church, Musquodoboit Harbour. If Mom has given you a quilt, please bring it with you to display. Donations may be made to Alzheimer Society of Nova Scotia. VanTol (Knul), Aartje “Atie” – Passed away peacefully in her 84th year on March 26, 2019. Atie and husband Gerard emigrated from the Netherlands in 1954 through Pier 21 and settled in Milford Station. Trained in the Netherlands as a professional seamstress, sewing and quilting were her passion, which led her to start a Kids Can Sew program that benefitted many young children in the nearby communities. In her 65 years in Canada, Atie raised her loving family, Len (Janice), Bruce, John, Peter (Nancy), and Maurena (Rod). Atie was most proud of her grandchildren, Gillian, Leslie, Erin (Tyler), Julie (Phil), Brenna, Lauren, Kyle (Stephanie) and Luke; as well as her great-grandchildren, Colton, Sophia, Jade and Luca. Atie is survived by her brothers, Dolf, Jan and Ben. Atie was predeceased by husband, Gerard; son, John; and brother, Wim. The family extends heartfelt thanks to the staff at Wynn Park, especially James (her favorite buddy), for their compassion and care. Thanks are also extended to Dr. Nadour and nurses of the Emergency and ICU units in Colchester East Hants Health Centre. Cremation has taken place under the direction of Arimathea Funeral Cooperative, Upper Musquodoboit. Funeral service and Celebration of Life will be held Sunday, March 31st at 3 p.m. in Faith Community Church, Milford. In lieu of flowers, memorial donations may be made to a charity of choice. MacDougall (Head), Linda Joy - Age 58 of Porters Lake, passed away on Sunday, March 24, 2019. Born in Saskatoon, Sask., to Neil Hamish and Barbara (Baker) Head, Linda spent her formative years in the Nova Scotia Valley. Following her marriage to Tom MacDougall in the early 80's, she resided in Cole Harbour and West Porters Lake. Linda also leaves behind her sons, Rob (Kerrie), Fredericton, N.B. and John (Jennifer), Halifax, and wonderful grandchildren, Logan, Carter and Sofie. Linda was predeceased by her mom, Barbara; father, Hamish and brother, Don. A private family interment will be held at a later date. A message of condolence may be left for the family by posting your comment as a guest in the area below. Beazley, Kenneth Arthur “Buster” – It is with profound sadness that we announce the passing of our father, grandfather, great-grandfather, brother, uncle and friend at the age of 87. Ken passed away peacefully on Saturday, March 16, 2019, in the Palliative Care Unit in Colchester East Hants Health Centre, Truro. Born in Halifax, he was the only child of the late Arthur and Margaret (Craig) Beazley. Living in Lower Sackville for most of his life, he became well-known as the owner/operator of Beazley Fuels. In 1972, Dad retired to fulfil a childhood dream by purchasing the farm where he spent summers as a child. He is survived by sons, Derek (Ann), Judson (Cathy), both of Upper Sackville; Kirk (Theresa), Upper Nine Mile River; daughters, Valerie (Ron) Ward, Upper Nine Mile River; Vicki Dickson (Tim), Oakfield; sister, Frances (Brian) Sproat, Stratford, Ont. ; 11 grandchildren, 10 great-grandchildren, many nieces and nephews. He was predeceased by his wife, Doreen (Hefler); son-in-law, Kevin Dickson. Dad was happiest when he was out and about tinkering with things on his farm. He enjoyed playing darts and a good game of cards with Carole and John. Recently he started attending the community card parties, as well as bingo on Wednesday nights. Special thank you to Yvonne Dickson for watching over his cards. He was a Life Member of Sackville Kinsmen Club and Masonic Lodge, Local 104. Cremation has taken place under the direction of Arimathea Funeral Cooperative, Upper Musquodoboit. No visitation by request. Funeral service will be held on Friday, March 22 at 1 p.m. in Sackville United Baptist Church, 1240 Old Sackville Rd., Middle Sackville, with Pastor Peter Metcalfe officiating. A reception will follow in the church hall. Burial will be at a later date. Thank you to Dr. Cortney Smith and the nurses of the Palliative Care Unit for your kindness and compassionate care. Family flowers only. In lieu of flowers, donations may be made to Canadian Wildlife Federation, PO Box 3815 Stn. Industrial Park, Markham, ON L3R 9Z9; or to Nova Scotia SPCA, PO Box 38073 Stn. Burnside, Dartmouth, NS B3B 1X2. Both of these causes were very dear to Dad. Murray (Johnson), Elizabeth Joan – Age 86 of Truro. It is with great sadness we announce the passing of Elizabeth Joan (Johnson) Murray on Sunday, February 10, 2019, in Cedarstone Enhanced Care, Truro. Born in Middleton to the late J. Myron and Lilian (Henry) Johnson, Elizabeth was educated in Wolfville and Truro, at Acadia University and Provincial Normal College. Following graduation she taught grade primary in Kentville and at Alexandra School in Halifax. She thoroughly enjoyed teaching this age group and took great delight in putting on plays and rhythm band concerts with them. While in Halifax she met and married Rev. Don Murray and actively supported his ministry in the United Church pastoral charges of Tabusintac and Edmundston, N.B., and Stewiacke, Tatamagouche and New Glasgow. She organized many events to aid in the financial support of these charges. It was always her intention to have a large family and so it is not surprising that she claimed her greatest accomplishments were her five children. Her expectations were high but her encouragement always brought out the best in them. 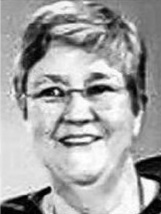 She enjoyed many activities and was always very busy and involved as a mother, church member and community member, attending and leading several church camps and CGIT, and participating in Home and School Associations, Band Auxiliaries, and the New Glasgow Music Festival. She was a member and past elder of Brunswick Street United Church in Truro, and a life member of the UCW. Elizabeth was a crusader and a staunch supporter of the NDP. She frequently expressed her views to all levels of government and in newspapers on issues including anti-smoking laws and the banning of VLTs. By far, her favourite pastime was reading the newspaper(s), particularly the Chronicle Herald, which she did from age 15. She was famous for her clippings! She enjoyed playing the piano, especially with family at Christmas, skating and playing cards as a very vocal participant in countless of games of 45s. But perhaps her greatest pleasure was dancing, which to her delight she was able to do into her 80s, despite complications from her broken hip. She loved to throw parties, especially for herself, and relished in surprising friends and family. She enjoyed baking bread and her famous pies, picnics, showing off her children's accomplishments, listening to the CBC, and eating fudge and chocolate. Surviving Elizabeth are her children, Deborah (Sandi Howell), Winnipeg; Patricia, Halifax; Joan (Stuart Smith), Summerside; John (Paula Abarca del Rio) Vienna, Austria; Donald, Toronto; grandchildren, Anna and Aidan Smith, Sean and Ian Murray Abarca; several nieces, nephews, cousins and other family members; many friends and faithful visitors. Elizabeth was predeceased by infant brothers, Arthur Myron and Ross Brian; and her companion in later years, Gordon Poole. We would like to thank the staff of East Cumberland Lodge and Cedarstone Enhanced Care for the wonderful care they provided Elizabeth during her six month stay in each facility. We, also, so appreciate Janet and Chrissy Ward for their devotion and care during the latter years of her life. Cremation has taken place. Elizabeth did not want her passing to be sad, so memories and stories are welcome at the visitation on Wednesday, March 13 from 6:30-8:30 p.m. A celebration of her life will be Thursday, March 14 at 2 p.m., both in Brunswick Street United Church, Truro. In lieu of flowers, donations may be made to Brunswick Street United Church. She was bigger than life and will not easily be forgotten. Wregget, Gordon Joseph – Age 88 of Dartmouth, passed away peacefully on March 13, 2019 in St. Vincent’s Nursing Home, Halifax. Born in Brandon, Manitoba, Gord served in the Royal Canadian Air Force for 33 years, retiring as a Warrant Officer (R) CD2. Gord’s military career took him to Europe where he travelled extensively with his family. In later years, he and Helen enjoyed travelling with their combined families as well as on their own, creating wonderful memories for everyone. He was an avid sportsman who enjoyed swimming, playing hockey and riding his bike. When he finally packed his sporting goods away, he methodically mastered a virtual flight simulator program on his laptop, flying into many nearby towns and cities. The question was always, “where have you been today, Gord”? And he usually responded with “Charlottetown” or “Greenwood”. Gord is survived by his wife, Helen Wallace-Wregget, sons, David (Patricia), Mississauga, Ont., Kenneth (Nicole), Pittsburgh, PA; stepchildren, Joanne Reid, J. Dana Wallace, Janet (Dan) Hamilton, all of Dartmouth; Jacqueline Wallace, Shubenacadie; grandchildren, Matthew, Courtney and Paige Wregget, Emma Dickie (Jonathan Young), Moira Dickie, Sarah Reid, J. Dylan, Noah and Joely Wallace; great-granddaughter, Sylvia Dickie-Young; sister-in-law, Karen Wregget; niece Linda (David) Hartley; nephew, Keith Wregget. Gord was predeceased by his first wife, Georgette; brothers, Mervin, Lawrence, Donald; parents, Myrtle and Claude Wregget. Cremation has taken place. As per Gord’s wishes, there will be no visitation or funeral service. Interment will take place at a later date. Memorial donations may be made to Parkinson Canada. We want to thank the fifth floor staff of St. Vincent’s Nursing Home for their compassion and respect in caring for Gord. Hasler, Colleen Anne – We, the family of Colleen Anne Hasler, are saddened to announce her passing in the VG Site, QEII, Halifax on March 13, 2019 at 7:35 p.m. Born in Halifax, July 12, 1952, she was the eldest child of David and Loraine (Graves), Halifax. She grew up in Leiblin Park, Spryfield and was a member of St. Michael’s Catholic Church. She was predeceased by her father, David; and is survived by her mother, Loraine; and siblings, David (Paula), Maureen (Larry) Smith, Michael (Mary Margaret), Mary, Susan, Dan (Tracey), Christa (Wayne) Ryan, Bill, Maria (Sean) McDonald; and a great many nieces and nephews. Colleen worked for APSEA (School for the Blind) for most of her career, a job she dearly loved. She was then employed by the Halifax Regional School Board, as well as Metro Community Housing Authority. Having the great fortune of many friends she dearly loved them all; they were treasures to her. Her greatest love however was her God, who was her everything. She was a founding member of “The Day” music ministry which served the Atlantic Charismatic Conferences and was blessed to minister for Pope John Paul II on his visit to Halifax. She served on many resource ministries in the church and renewal. In her great love of scripture and contemplation she became a long-time friend and visitor of Notre Dame du Calvarie Abbey, Rogersville, N.B. She served in various ministries within the church, most notably as a lector. Her deep Catholic faith bore the fruit of loving kindness, and with her infectious laughter she drew many wounded souls to a closer relationship with her Savior Jesus Christ. She was a true and faithful friend to all. We will wake Colleen at a visitation to take place in the basement of St. Michael’s Roman Catholic Church, 6 St. Michael’s Ave., Spryfield, Sunday, March 17th, from 3-7 p.m. All welcome. The funeral mass will be held the following day in St. Michael’s Church, Monday, March 18th, at 2 p.m. Celebrant, Father Ronald Cairns, ConCelebrant, Father David, Deacon David Hasler. Shea, Mildred Patricia – Age 91 of Cooks Brook, passed away peacefully March 10, 2019 in Dartmouth General Hospital with family by her side. Born in Halifax, she was a daughter of the late William and Victoria Beazley. Surviving are her daughters, Gail (Glenn) Parmenter, Ottawa; Susan (Darrell) Murphy, Cooks Brook; sons, Rod (Sharon), Carleton Place, Ont. ; Bill (Belinda), Louisdale; Pat (Sharon), Stittsville, Ont. ; numerous grandchildren and great-grandchildren. She was predeceased by her loving husband, Murray; precious daughter, Kathleen; dear grandson, Eric; brother, George. Cremation has taken place. A celebration of Mildred’s life will be held at a later date in Holy Cross Catholic Church, Middle Musquodoboit. The interment of ashes will take place in Strathlorne Cemetery, Cape Breton, next to her family. Memorial donations may be made to a charity of choice. Parting is such sweet sorrow, till we meet again. Crawford, Anna Hellen – Age 62, Dartmouth, passed away March 7, 2019 in Dartmouth General Hospital. Born in Musquodoboit Harbour, she was a daughter of the late William and Eileen (Omelia) Gale. Surviving are her husband, Roger; and three siblings. Besides her parents, she was predeceased by four siblings. Cremation has taken place under the direction of Arimathea Funeral Cooperative, Upper Musquodoboit. In keeping with her request there will be no funeral service. Memorial donations may be made to The Lung Association Nova Scotia or Diabetes Canada. Wallace-Parker, Samantha Wilma Mae – Age 28 of Truro, passed away March 4, 2019 in Colchester East Hants Health Centre, Truro, surrounded by family. Samantha had a big heart and loved her children more than anything in the world. She will always be loved and missed by husband, Paul; children, Haylie, Winter Joy, Robert, Millie Rose; stepdaughter, Elizabeth; parents, James and Tracey; stepmother, Tammy; siblings, Jessica, Mathew, Rebekah, Toni; nephews, Ryland, Brayden; niece, Hannah “Boo”; very special grandmother, Shirley; grandmothers, Esther, Jean, Janet; grandfather, Eldon “Bear”; many aunts, uncles and cousins. She was predeceased by stepfather, Robert; grandfathers, Keith, Ronnie, David; grandmother, Marina. Cremation has taken place under the direction of Arimathea Funeral Cooperative, Upper Musquodoboit. No flowers or service by request. Memorial donations may be made to IWK Health Foundation or Canadian Mental Health Association Colchester-East Hants Branch.